Once again, my boys and I have decided to make a list of Halloween movies to watch together in October. We have a bunch of old stand-bys like “Abbott and Costello Meet Frankenstein,” and some that I’ve been waiting for them to be old enough to watch without getting nightmares later on. Here’s my list of the best age-appropriate* Halloween fare to watch with your kids. 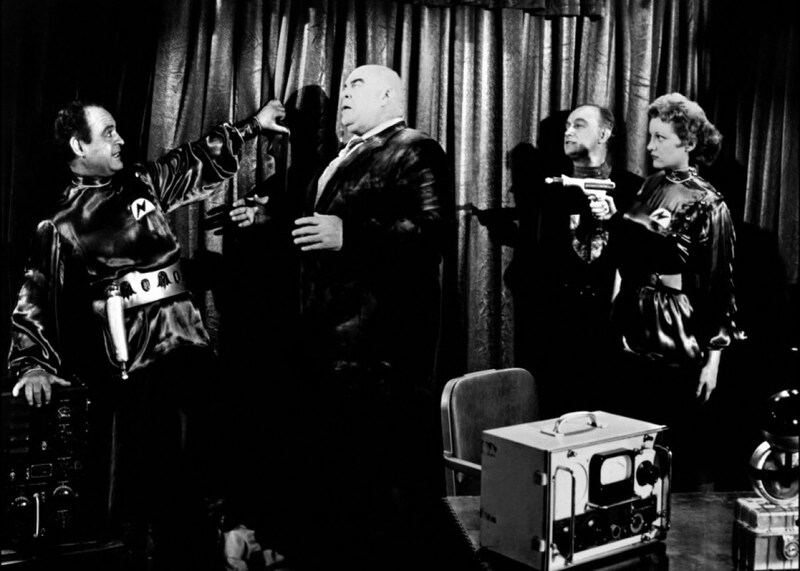 I told the boys we were going to watch one of the worst movies ever made, and man-oh-man, Plan 9 From Outer Space did not disappoint. From the over-the-top intro by Criswell to the wooden acting… all tied together in a knot by a meandering script with absolutely indecipherable dialogue. This movie was a consistent charmer that kept both me and the boys entertained throughout. For me, it was listening to Adam Sandler ham it up with a forced Dracula impression. For the kids, it was the steady gags and fast-paced script. 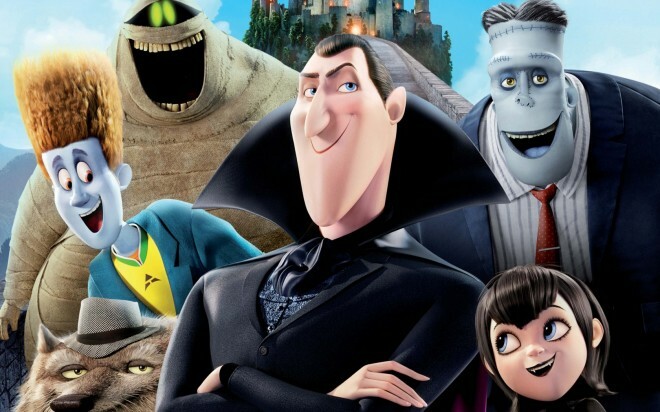 You could do worse than Hotel Transylvania — especially if your kids are younger. The boys were introduced to Mel Brooks a while ago when we watched Spaceballs together. So I was pretty confident in putting Young Frankenstein on. But I have to tell you, this wasn’t their favorite Brooks flick. Although there are flashes of screwball comedy (“FRAHNKensteen” and, of course “Abby Normal”)… there’s a lot about Young Frankenstein that was either too cerebral — or too mature — for my kids to grasp. The recent announcement of a new Ghostbusters movie featuring an all-female cast has brought the spotlight back on this 80s classic. Bill Murray, Dan Aykroyd and Harold Ramis are at their hilarious peaks. The ghosts are scary, but not overwhelmingly so. And, hey, who doesn’t love that theme song? And this year, we’re going to have to add the new version to the list! If you watch one movie on this list that you haven’t seen before, it should be this unsung classic of Universal Studios horror — Bride of Frankenstein. It’s got comedy, tragedy, message, romance and chills. Tim Burton’s stop-motion masterwork, Nightmare Before Christmas, has been the highlight of my October ever since it was first released on VHS. When I had kids, I realized that the characters and the creepy music was a little overwhelming for my little guys. But this year, they were both eager to give it a shot. And I’m happy to report that I can look forward to resuming my annual tradition of watching this flick ever October once again. OK, it got a little inappropriate once or twice, but mostly this is a Brooks movie you can watch with your kids. (We’re still waiting for them to be old enough to see “Blazing Saddles.”) And, like “Spaceballs,” Dracula — Dead and Loving It is a Brooks film your kids are going to want to watch repeatedly.